﻿ Best Price on Harmony Hall Antigua in Freetown + Reviews! Built on a former sugar plantation overlooking Brown’s Bay, this hotel features a private beach and dock. Free ferry service is offered for snorkelling and exploring on neighbouring Green Island. 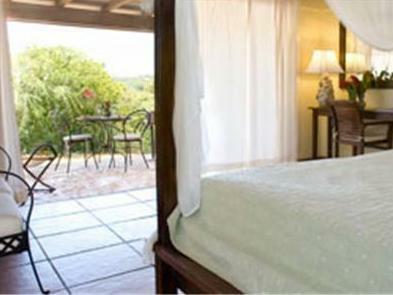 A private patio or balcony is provided with each exotic room at Harmony Hall Antigua, a minibar and coffee- and tea-making facilities are also included. Harmony Hall Restaurant offers Italian cuisine, including pastas and seafood made with fresh ingredients. Breakfast and lunch are served daily, while dinner is available from Wednesday to Saturday. Room service is also available. Guests of Antigua Harmony Hall can enjoy the outdoor pool with bamboo-shaded tables. Massage services, an on-site art gallery and kayak rentals are also available. Luna, the property's boat, helps get guests to Green Island to enjoy a day in the secluded beaches. Devil’s Bridge is less than 15 km from the resort. English Harbour and VC Bird International Airport are both 30 minutes’ drive away. Airport transfers can be arranged on request, at an extra cost. Tour transfers can also be arranged upon request. You must show a valid photo ID and credit card upon check-in. Please note that all special requests cannot be guaranteed and are subject to availability upon check-in. Additional charges may apply. Please note that the restaurant is closed for dinner on Sunday, Monday and Tuesday. Guests wanting to dine at the restaurant are encouraged to make a reservation. The restaurant is open every day for lunch. Airport transfers are available at an extra cost of USD 35. Please note that American Express credit card is not accepted as a method of payment in this property.